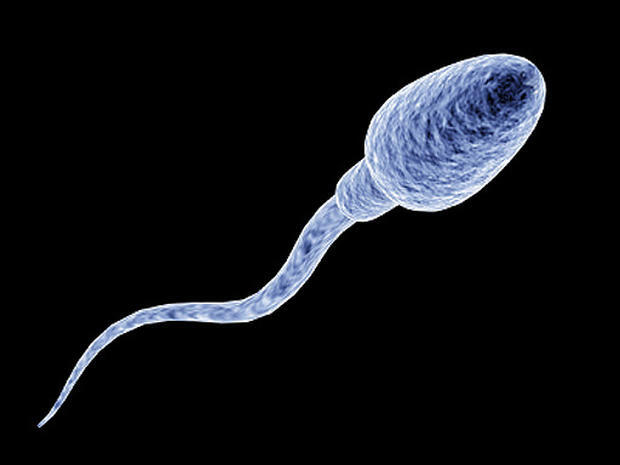 Scientists have created miniature magnetic swimming devices - which mimic the appearance of sperm cells - that could revolutionize disease treatment by ferrying drugs to specific areas of the body. The devices, which measure as small as one millimeter long, consist of a magnetic head and flexible tail that allows them to “swim” to a specific location when activated by a magnetic field. Researchers at the University of Exeter in the UK, who designed the devices and magnetic control mechanism, have also created a mathematical model that allows them to predict the devices’ behavior in different environments, such as microfluidic channels or complex liquids. The researchers believe that the devices could be used to deliver drugs to specific areas of the body, thus potentially dramatically improving treatment time and success. The scientists also believe that the devices could revolutionize the wider field of microfluidics, which focuses on moving liquids through extremely narrow channels. The team’s research is currently focused on implementing microscopic prototypes and the researchers have already successfully demonstrated swimmers comparable to the size of red blood cells. The research was published recently in the Physics of Fluids journal. Professor Feodor Ogrin, principal investigator at the University of Exeter said: "Developing this technology could radically change the way we do medicine. The swimmers could one day be used to direct drugs to the right areas of the body by swimming through blood vessels. We also envisage microscopic versions of the device being used on 'lab-on-a-chip' technology, where complex procedures normally conducted in a laboratory, such as diagnosing disease, are conducted on a simple chip. A paper published online on September 27, 2018 in Scientific Reports shows the positive results of a phase II clinical trial using the oral medication DFMO (difluoromethylornithine) to prevent relapse in children with high-risk neuroblastoma (HRNB). The open-access article is titled “Maintenance DFMO Increases Survival in High Risk Neuroblastoma.” Neuroblastoma is a form of cancer that develops from immature nerve cells found in several areas of the body. It occurs most often in infants and young children, usually under the age of five. The disease remains a challenge in pediatric oncology and current treatments include therapies that have significant long-term side effects for patients. HRNB accounts for 15 percent of all childhood cancer deaths, in part, due to the fact that nearly half of all patients who reach remission will relapse. "These results are promising and have changed the outlook for our patients with high risk neuroblastoma," said Giselle Sholler, MD, Director of Pediatric Oncology Research at Spectrum Health Helen DeVos Children's Hospital in Grand Rapids, Michigan, and principal investigator of the study. "By using DFMO for two years after finishing conventional therapy, we've seen an overall two-year survival rate for these children of 97 percent. This is a large increase in survival," Dr. Sholler added. "Previously it was believed that children with refractory and relapsed neuroblastoma were considered incurable. This study shows more than 50 percent of patients remaining in remission up to four years." The trial, organized by the Beat Childhood Cancer research consortium, studied the use of DFMO as a single agent for enrolled patients at 20 children's hospitals from June 2012 to February 2016. On October 2, 2018, IONTAS Limited, a leader in the discovery and optimization of fully human antibodies, today announced a collaborative paper published in Nature Communications1 with the Technical University of Denmark (DTU), and the Instituto Clodomiro Picado of the University of Costa Rica describing the development of a panel of human antibodies that neutralize elements of black mamba snake toxin in an in vivo model. 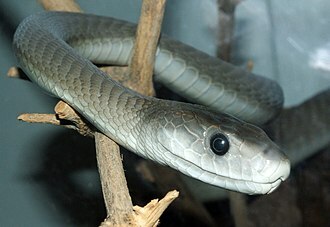 The open-access article, published online on October 2, 2018, is titled “In Vivo Neutralization of Dendrotoxin-Mediated Neurotoxicity of Black Mamba Venom By Oligoclonal Human Igg Antibodies.” Each year, approximately two million people fall victim to snakebite envenoming, which leads to more than 100,000 deaths and approximately 400,000 cases of severe sequalae, such as amputation. Particularly, impoverished victims living in snake-infested areas of the tropics are at risk, and many bites are left untreated due to the unavailability of safe and effective antivenoms. Snakebite envenoming has recently been introduced on the World Health Organization’s list of neglected tropical diseases due to its high disease burden. The “proof of concept” research described in the Nature Communications article identified key components, including dendrotoxins, in the black mamba’s venom that contribute to venom toxicity. Human antibodies were generated to these dendrotoxins using IONTAS Phage Display Technology and cocktails of IgG-formatted human antibodies were then shown to protect mice from dendrotoxin-mediated neurotoxicity in vivo.